Stocks tried to shake off Friday’s bearishness this morning, but they couldn’t. There may be several reasons why, and I’ll discuss them later. First, the way in which the market acted today is worth noting. 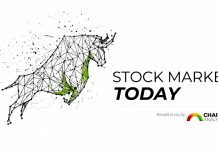 The S&P 500 (NYSEARCA: SPY) and Dow Jones Industrials (NYSEARCA: DIA) peaked at Friday’s high, as the 20+ Year Treasury Bond (NASDAQ: TLT) and Volatility ETF (NYSEARCA: VXX) bottomed at their Friday lows. Meanwhile the strongest performer on Friday, Russell 2000 (NYSEARCA: IWM) topped out near its floor trader pivot. 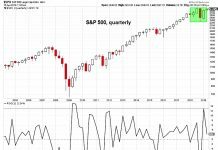 The Nasdaq (NASDAQ: QQQ) did break out over Friday’s highs, but with the other 5instruments reversing at logical and bearish levels, it was hard to believe that the QQQ’s would prevail. In yesterday’s commentary, I suggested that the hope for the bulls may rest in a snapback rally today. The market’s problem right now is likely that it’s tired, disinterested and a little nervous. This is not a recipe for a nice move up without a catalyst, and today’s price action was a reflection of this condition. I’m suggesting the market is tired because, as I pointed out in last weekend’s Market Outlook, momentum, as measured by Real Motion, has leveled out or been declining in the SPY, QQQ, DIA, and IWM since June. Also in the weekend’s Market Outlook, was evidence that the market was “disinterested” at new swing high. This means that while the indexes like SPY and QQQ where challenging new swing highs, the measures of market breadth like the McClellan Oscillator was turning lower. And the number of stocks moving up with the market has been declining. The market’s malaise could in part be to the fact that it’s August, but it’s concerning because it’s also nervous. I’m suggesting it’s nervous because of the jump in bond prices, and the US dollar which represents “risk off”, combined with the VXX rallying. All of this is reflected by the fact that the members of the Modern Family have not had any scary downward moves recently yet all but Retail ETF (XRT) and Transports ETF (IYT) are in Warning Phases. Change from nervous and disinterested to scared and oversold. 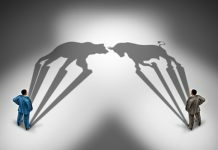 Both are difficult to time, so until there is a notable change, I’ll be cautious on declines and suspect at the beginning of market rallies.